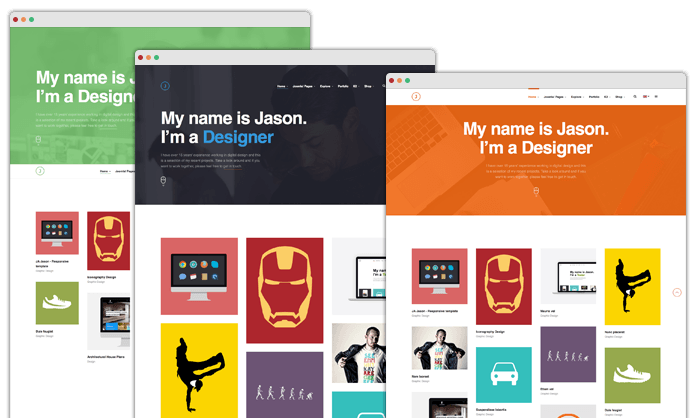 JoomlArt has released September responsive Joomla template for Portfolio JA Jason. 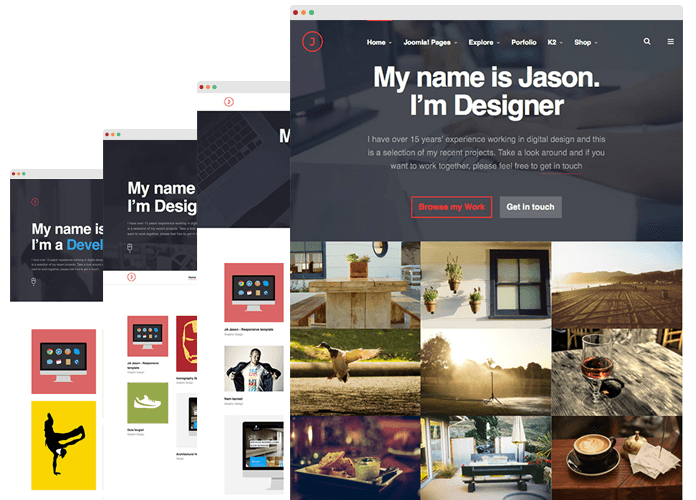 This template - JA Jason - is the first JA template featured Hikashop eCommerce solution with a tagline ‘Home is where your work is!’. Let find out why we say this! T3 Framework with Bootstrap 3 is a must-have yet versatile tool for Joomla developers. Imagine how much time you will save with ThemeMagic and Layout Configurator? You’ll be creating and transforming existing beautiful Joomla template into a desire project in almost no time. We know there’s a lot of guys can’t live without K2 component when it comes to Joomla blogging. Well, neither do us! With their CCK, things can be pretty simple for the bloggers. It’s time for the tagline ‘Home is where your work is!’. 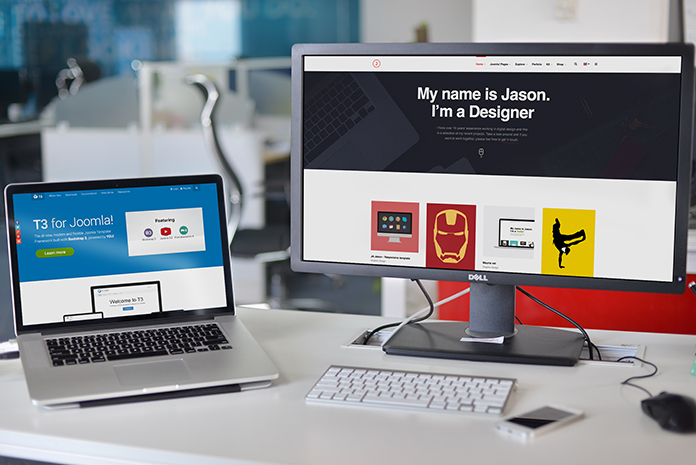 And yes, I can be so sure about that with our responsive Joomla template for Portfolio JA Jason. For the first time in JoomlArt history, we offers six homepage options for the builders. 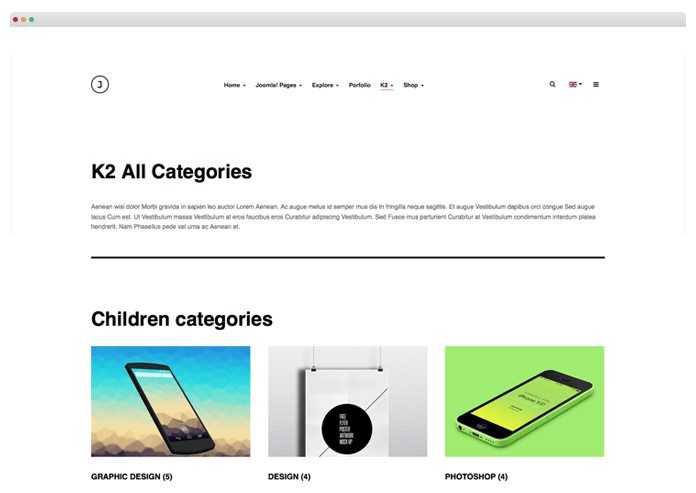 This allows you to showcase your works in a variety of ways in the homepage. The options ranges from traditional layouts to video background, masonry layout, and slideshow… I think you might get frustrated to decide what layout suits your project best. Well, I can’t help you on this! It’s also the first time Hikashop component featured in a JoomlArt template. Our friends recommend to use it. 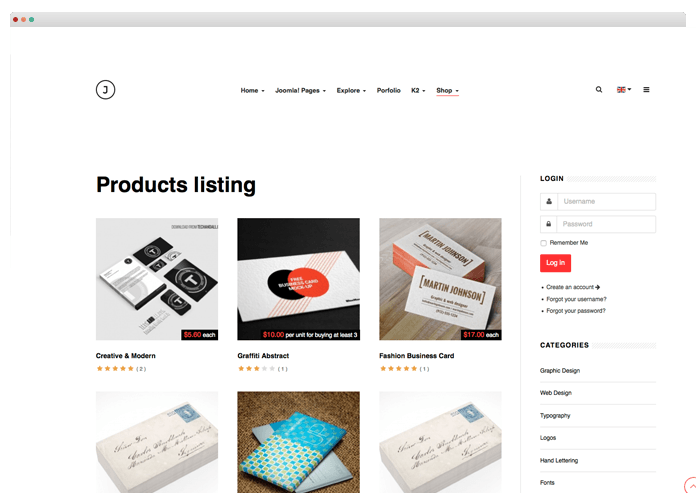 This eCommerce solution will help the designer not only showcase their products, but also make real money with their hard works. 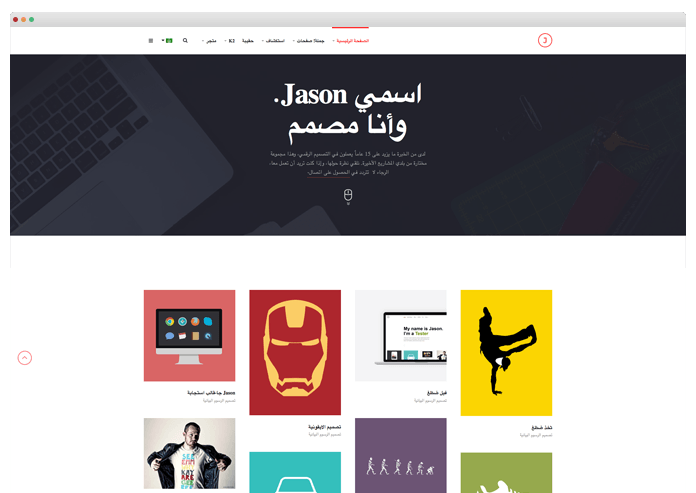 If your friend want to have Right to Left language layout for her Joomla portfolio, let use JA Jason. We make it RTL language ready from the very beginning. JA Jason gets styled with three colors: Green, Blue, and Orange. And the color style is minimal enough to emphasize the products portfolio. We build JA Jason with our successful recipe, though we have added some special spices to keep it original yet useful for the users. Try JA Jason and tell us your thoughts, we’d love all your comments and feedback.